Nonsterile drug compounding is the millennia-old practice of preparing specific medication doses for patients to drink, swallow, insert or apply to the skin. It is the most common kind of drug compounding done by pharmacists and pharmacy technicians in community and hospital pharmacies. And despite its "nonsterile" designation, making customized dosages according to legal and professional standards requires adhering to strict rules for ensuring and maintaining active pharmaceutical ingredient purity and potency; ensuring the accuracy of mixing; providing proper packaging, ​storage, and labeling; and keeping all work surfaces and equipment as clean as possible. The biggest distinction between nonsterile compounding and sterile compounding concerns how the drugs get administered. Medication intended for injection, infusion, or application to the eye must be compounded according to the rules and standards for sterile compounding because bacteria or fungi present in the parts-per-trillion range can put patients' lives at risk. Preventing contamination is important when doing nonsterile compounding, but compounders do not have to work in ​completely sterile environments like clean rooms. What Gets Made by Nonsterile Compounding? 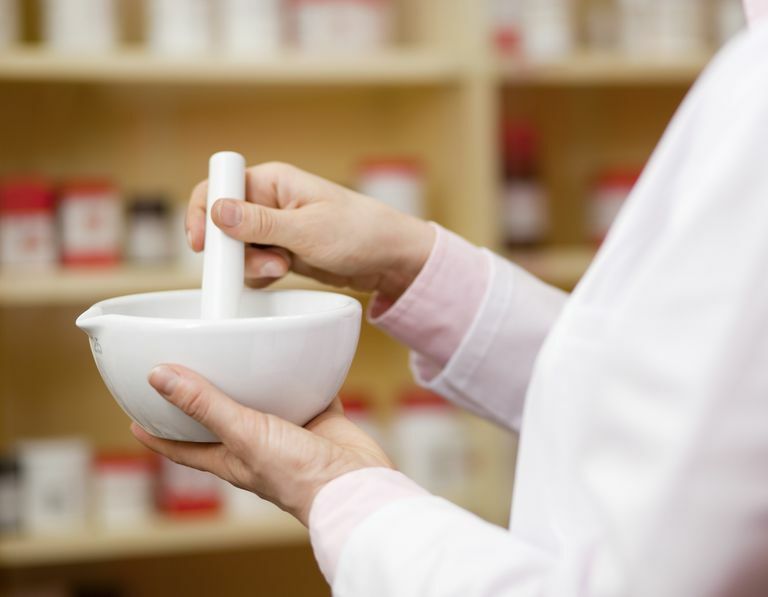 A standard definition of nonsterile compounding describes the practice as "the production of solutions, suspensions, ointments and creams, powders, suppositories, capsules, and tablets." A more complete definition would explain nonsterile compounding falls into simple, moderate and complex categories. The categorization depends on how difficult preparing a given dosage form is, the risks a product poses for the patient and the compounder, and how the finished form must be administered and stored. Simple nonsterile compounding involves mixing medications according to established formulas, or "recipes," and creating liquid versions of drugs usually sold only as tablets or capsules. Pediatricians and veterinarians often request these kinds of products for babies and animals who cannot swallow pills or need doses smaller than ones in commercially produced products. Official U.S. Pharmacopeia formulas exist for 125 simple nonsterile compounds. The recipes specify which APIs and nonpharmaceutical ingredients to use, as well as how to measure and mix the ingredients, label the finished drug product and determine an expiration date, which, in pharmacy lingo, is the "beyond use date." Two USP simple nonsterile compound drugs are alprazolam oral suspension (e.g., Xanax tablets from Pfizer) and generic standard-release morphine sulfate suppositories. Moderate nonsterile compounding involves making dosages containing potentially harmful medications or preparations that require special handling. Fentanyl troches, which are better known as lollipops, and ointments that can only be safely applied with gloves fall into this category. Dentists, oncologists, and dermatologists tend to order medications requiring moderate nonsterile compounding. Strong data on best formulations and expiration dates have not been published for many of these. Few pharmacies perform complex nonsterile compounding, which requires advanced training and special equipment to make products like extended-release capsules and transdermal patches. What Rules Exist for Nonsterile Compounding? USP 795 "Pharmaceutical Compounding — Nonsterile Preparations" codifies the rules pharmacists and pharmacy technicians must follow when preparing customized dosage forms meant to be taken orally, inserted rectally or applied topically. The chapter was updated, expanded and republished in May 2011 to emphasize the importance of documenting all compounding procedures, labeling compounded drugs accurately with APIs and beyond use dates, and using purified water for all mixing and cleaning related to nonsterile compounding. The links in this paragraph provide greater detail on what USP 795 requires, but two facts bear highlighting. First, as USP Compounding Expert Committee member Patricia Kienle, RPh, MPA, FASHP, told Pharmacy Purchasing & Products, "Even simple processes, such as reconstituting an antibiotic suspension, signify compounding and thus, are covered by this chapter." Second, USP 795 carries the force of law. Its provisions can be, and are, enforced by U.S. Food and Drug Administration agents and state board of pharmacy officials. All states have adopted USP 795 as the baseline for safe and legal nonsterile compounding, and some have developed other rules for compounders. In short, adhering to USP 795 standards puts pharmacists and technicians on the right sides of health care practice and the law.